Dianne Bergant, CSA, America: The National Catholic Weekly, 2003. Where do we go when we die? This is not a frivolous question. It has puzzled people of all cultures from the beginning of time, and it continues to puzzle many today. This question in no way suggests a lack of faith. Rather it underscores some of the mystery surrounding death. 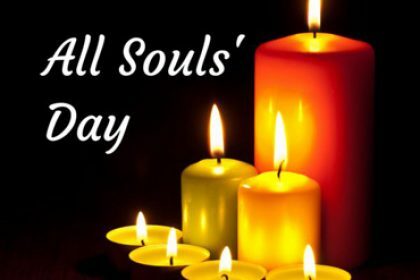 In the past, this feast focused on our role in the deliverance of the “poor souls in Purgatory.” They were the “church suffering,” waiting for what we, the “church militant,” would do to alleviate their suffering so that they might join the saints in heaven, the “church triumphant.” We said prayers and made visits to churches in order to gain indulgences that might shorten their stay in that nebulous place of temporal punishment. Without denying our need to be purified of the traces of sinfulness, the readings for today suggest a very different focus. The passage from the Book of Wisdom is quite consoling. That is why many people choose it as a reading for funerals. It states that the righteous dead are secure in the protection of God. Only the foolish think that “their going forth from us [is] utter destruction.” We grieve over their death; their passing is our loss. But is it their loss? They have hope that is “full of immortality.” In other words, their hope cannot be extinguished by death. The psalm is also comforting. God, the gentle shepherd, leads the psalmist through the dark valley. There is no fear here, only trust and courage. Paul too speaks of hope, a hope grounded in God’s love. He insists that we have every reason to hope, for if Jesus died for us when we were still sinners, how much more can we expect from God now that we have been made righteous through the shedding of Jesus’ blood? 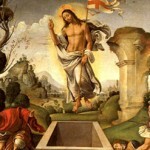 The point of the Gospel story is really not the resurrection of Lazarus, which could prompt us to hope that we or our loved ones might be restored to life, but the claim that Jesus himself is the resurrection and the life. After all, Lazarus had to die again, but what Jesus promised was a life that is not subject to death: “…who lives and believes in me will never die.” There is that troubling word again: believe. Do we believe that Jesus can do this? Do we believe that Jesus will do this? Do we believe that our beloved dead are indeed secure in the hand of God?